ThaiBev, Thailand’s largest beverage company, has announced the purchase of a 75% of stake in Myanmar Distillery Company (MDC) for $1 billion. MDC, the largest spirits company in Myanmar, produces and sells a range of whiskies and gins at its facilities in Mandalay and Yangon, including the flagship Grand Royal whiskey brand which has over 60% market share. Commenting on the move in a statement, ThaiBev said: “The acquisition enables ThaiBev to tap the growth potential of Myanmar’s spirits market and gives it access to Myanmar’s top whisky brand, in line with the ThaiBev Group’s Vision 2020 roadmap for building on its leading position in Southeast Asia”. 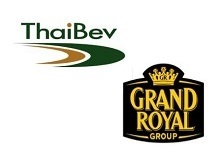 “With its high quality whisky products and strong distribution capabilities, the Grand Royal Group will be the main driver of the ThaiBev Group’s spirit business in Myanmar going forward”, the firm added.